Prestige Custom Hardwood carries only the finest quality of hardwood. We are able to help you with creative ideas or make your dreams a reality by bringing them to life with cutting-edge designs, stylish colors and textures, and blending it with the finest of workmanship. We are small enough to take care of all your residential needs right down to the very last detail and large enough to take care of commercial projects as well. The options below are available in a vast variety of colours and board widths. We’ll help you pick what’s best for your vision so you don’t have to worry about all the details. Engineered hardwood is the new fad, because of its construction. 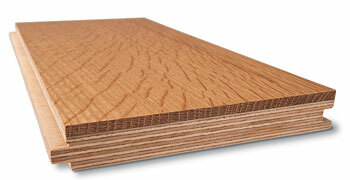 It is more stable than solid hardwood, resulting in less expansion and contraction. We offer many different types of engineered hardwood available on the market today, but we have our own line of Engineered that comes second to none because of the way it’s manufactured. We use the highest quality of products, starting with the trees where our lumber comes from down to the outdoor moraine glue that holds it all together. Our engineered hardwood is the only engineered plywood that has a solid hardwood layer on both top and bottom to offer the most stable product out there on the market today. Our engineered floors can be installed anywhere from boat houses to basements to over radiant heat, being able to withstand the toughest of conditions. Solid hardwood flooring adds a natural warmth and richness to any room and that’s why it makes such a great foundation for a total room makeover. 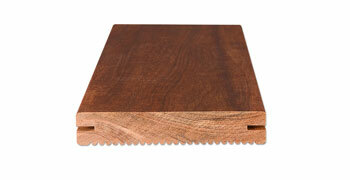 We offer a large range of hardwood types to respond to all our clientele. The most popular species are White Oak and Red Oak, but at Prestige we can show you a much broader selection of solid hardwood options with naturally beautiful grain patterns, including Walnut, Maple, and Reclaimed Hardwood. We also offer a full range of exotic hardwoods such as Brazilian Cherry, Santos Mahogany, Tigerwood and Wenge. Unfinished hardwood offers you the versatility of selecting your own custom stain colour. When you lay down unfinished flooring, you need to sand, stain and finish the area as whole. The finish seals all boards together with no spaces between the planks. This gives the floor a more uniform look and can even improve moisture resistance due to the seal of the surface as a whole. Prefinished hardwood comes already finished from the manufacture ready to be installed. It is already sanded and stained which reduces installation time and is ready to be walked on as soon as it’s laid down. Here at Prestige we believe in custom projects and our ability to work with your specific needs is where we excel in what we can offer you. From colour matching to a piece of clothing or a family heirloom cabinet, we can create anything you envision.